This post is part of a monthly series. It provides an overview of themes and topics from the general meetings and committee meetings of the Ryan White Planning Council and HIV Prevention Planning Group. To view meeting materials and presentations, please visit www.hivphilly.org or check out our SlideShare account. First off, the RWPC's Needs Assessment Committee has new leadership! Tre Alexander is a first-time co-chair for the committee, and Gerry Keys has returned as a co-chair once again. During their meeting, the group continued its previous discussions on the current processes used to link newly-diagnosed people living with HIV/AIDS to medical care. They developed a list of questions for AACO on these processes. Meanwhile, the Positive Committee opened nominations for one of its co-chair positions in September. An election will take place at the October meeting, which will be held on Monday, October 7. (Both October and November's Positive Committee meetings have been moved to the first Mondays in those months, due to city holidays.) They also continued talking about their World AIDS Day project recognizing the efforts of local heroes. The Ryan White Planning Council also opened nominations for one of its co-chair seats this month. Rich Lampkins' current term as co-chair is coming to an end, and we'll be taking nominations for his position until the October RWPC meeting. Any nominee has to be a current RWPC member who has been in good standing for at least a year. The nominee also has to accept the nomination. You can email me at briana@hivphilly.org if you'd like to throw someone's hat in the ring. They also approved a 10% increase budget to include with the grant application to the federal government. We don't expect to actually receive a 10% increase, but it doesn't hurt to ask. Plus, I gave a short presentation on Pennsylvania's Sunshine Act. Thanks to the efforts of the RWPC Nominations Committee, the Ryan White Planning Council will welcome several new members in October. They approved sixteen applications in total, eleven of which were current members that were reapplying for membership. The new members will go through orientation on October 10, and we're looking forward to having them! The new HIV Prevention Planning Group (HPG) is still getting their feet wet with community planning until they have their locally-adapted HIV Planning Boot Camp that will be provided by the National Minority AIDS Council next month. Their September meeting started off with a basic presentation on us, the Office of HIV Planning. They also watched a CDC Grand Rounds webcast on high-impact prevention, which is part of a series of webcasts the CDC has been doing on public health. This provided the new HPG members with necessary background information that will help them in months to come. The Points of Integration Workgroup kept on with its discussion of linkage to care tools for Philadelphia. They talked about current risk assessments used by HIV testers, and how they might include questions to assess a newly-diagnosed client's readiness to enter HIV care into the whole testing process. They also had a discussion on partner services, including their place in linkage to care. They'll finalize the readiness for care tool and determine their next steps during their October meeting. It's always a great time to get involved in community planning for the Philadelphia area. To learn more, follow the links in this post, attend one of the meetings listed on our calendar, or email info@hivphilly.org to find out how to get involved. 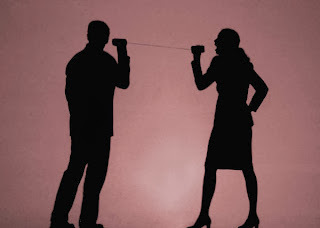 If you have questions, you can also call us at 215-574-6760. Everything I am about to say comes from the great work of Enroll America. Those folks have done the research and pulled it all together so we can use it to make sure all Americans have the affordable quality care they need. So check out all of their resources for everything you need to plan your outreach and enrollment work. The health reform law is so confusing and complicated. It doesn't surprise me that so many people feel like its just too much to understand, let alone do anything. So I'm going to try to break it down into some simple messages for you to share with people you want to encourage to sign up through the Marketplaces. (If you don't know what a Marketplace is, then start with this fun and simple video. Share personal stories about the uninsured and how health reform helps them be healthy and more secure. Keep it simple and concrete. Make sure the message is targeting the individual. Single people don't identify with messages about families and vice versa. Share your values, like "security", "family", "fairness". 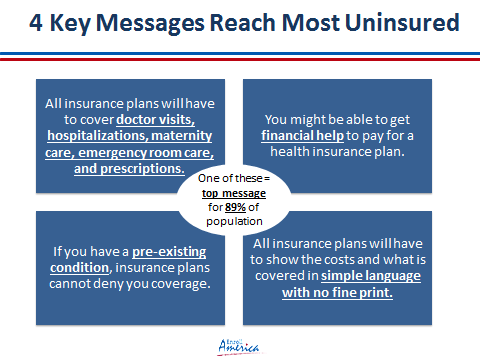 Financial and health security are the biggest motivators for the uninsured to seek more information about the Marketplace. There is deep confusion and skepticism among consumers, due to lack of experience with insurance or bad experiences. Be prepared for it. Most people (91%) think that health insurance is necessary or very important. Cost and affordability are the top barriers to coverage for most people. Use examples and dollar amounts whenever possible, rather than percentage or other abstract concepts. 1. All insurance plans will have to cover doctor visits, hospitalizations, maternity care, emergency room care, and prescriptions. This refers to the 10 Essential Health Benefits. You can learn more about them here. 2. You might be able to get financial help to pay for a health insurance plan. People with income between 100% FPL and 400% FPL (Federal Poverty Line) will be eligible for tax breaks to pay for premiums. There is also help for some people to cover co-pays. You can learn more about ways to make health coverage affordable here. 3. If you have a pre-existing condition, insurance plans cannot deny coverage. Health insurance companies cannot discriminate against anyone based on health status or pre-existing conditions, including HIV, cancer, diabetes, or any other chronic condition or infectious disease. More on these protections here. 4. All insurance plans will have to show the costs, and what is covered in simple language with no small print. The health care law requires all coverage information to be simple, clear and comparable. So you can compare plans for the different services, doctors, and limits. No small print allowed. Healthcare.gov is the place to go to learn about the Insurance Marketplaces and how to access insurance. Here's a great place to start to figure out what kinds of information you need to enroll and how to compare your options. This week, I had the privilege of attending the PA statewide HIV Planning Group (HPG) meeting. Pennsylvania has a new integrated planning body that includes both HIV prevention (for all counties except Philadelphia) and HIV care (for the whole state). This overlaps with our local care planning for the five counties in Southeastern PA. You can read a little more about this, plus get the meeting schedule, on the PA HPG's website. PA HPG meetings take place outside of Harrisburg. 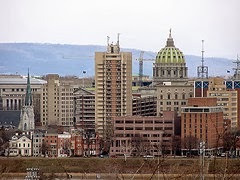 ﻿Members of the PA state HPG are from all over Pennsylvania, so the group conducts its business over the course of two-day meetings held every other month. 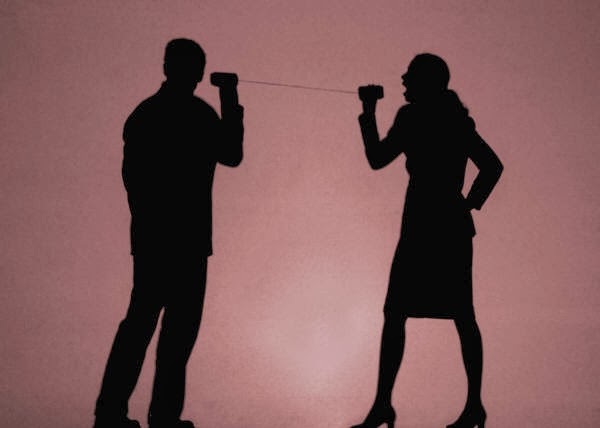 This cuts back on travel time and expenses, and gives the group a lot more time to work together. These meetings include sessions with the entire body, as well as smaller breakout task groups each day to dive into meatier issues. I live-tweeted the PA HPG meeting. If you're interested in a play-by-play, you can search hashtag #PAHPG over on Twitter. The first day started off with reports back from each of the three task groups: one that deals with membership issues, another dealing with priority setting and resource allocations, and a third that plans needs assessments. Note: This structure will shift in January, but that's what it looks like for now. After updates, we broke into task groups. I sat in with the priority setting and resource allocation group on the first day. Their requirements are a little bit different from what I'm usually involved with, because the care funding comes through Ryan White Part B. For Part A funding (what we get in the Philadelphia Eligible Metropolitan Area, or EMA), the planning body is required to both set service priorities and allocate/budget money for these services. (You can get a refresher on the Philadelphia EMA Part A process here.) On the state, Part B level, the planning body does not have to make the budget, so the task group focused largely on the priority setting process. They had an extensive conversation on the type of data and information the PA HPG would need in order to make its decisions, planning out almost a year's worth of presentations. They also briefly discussed the process itself, which will have some parallels to the Philadelphia EMA's process. Later on, the whole PA HPG reconvened to talk about their new protocols, which were similar to what we call bylaws for our planning bodies here. HPG members were asked to review the protocols for changes. The HPG also got an introduction to the three new HIV data managers at the Department of Health. These new positions include one data manager each for care, prevention, and the Special Pharmaceutical Benefits Program (SPBP). Last on the HPG's agenda was concurrence for the statewide HIV prevention 2013 interim progress report and 2014 grant application. This document gets sent to the CDC, and the CDC then uses the document to decide how much prevention money the state will receive. It includes changes, successes, and challenges to prevention services and the planning process itself. It also includes special projects and relatively detailed budgets. The document is 62 pages long, with around 72 pages of appendices. I actually read the whole thing - the most notable part for me was about a special demonstration project called Project Silk. Project Silk is a drop-in program geared toward minority LGBTQ ball youth in Pittsburgh, and has had some pretty remarkable results. They've managed to reach a challenging population, and they are using a peer navigator program. I'm looking forward to hearing more about the project at future meetings. The PA HPG did ultimately concur (or agree with) the application after hearing a very thorough presentation, and that was the last item on the first day's agenda. Day two was much shorter, and we broke almost immediately into task groups. On the second day, I decided to move over to the needs assessment group. If you're not familiar with the term "needs assessments," it just refers to ways that we can figure out what people need, like surveys, focus groups, town hall meetings, and other similar activities. The task group wants to look particularly at people who are "late-testers," meaning that they aren't diagnosed with HIV until they're already sick, so they're diagnosed with AIDS at the same time. They also want to find out more about provider capacity - essentially, whether the providers have room for more clients. Plus they're planning to gather as much data as possible from sources like SPBP and partner services to help them plan their needs assessments. We're going to be sharing our data with them to help with this process. Later on, the whole PA HPG got back together for task group reports. While I was with the needs assessment group, the priority setting and resource allocation task group continued talking about the tool in the context of the whole process. They also further refined their presentation schedule for 2014, and talked about having a more unified priority setting process that would get input from many local consumer groups. I offered to speak with our own Positive Committee about the process when they had more information. Then we heard from the membership task group, which plans to have an ongoing orientation process that includes mentorship. They requested that the Department of Health have the application materials translated into Spanish. They're also looking for more HIV-positive consumer members. Last on the agenda was the final approval of the HPG protocols, including any updates. Once that was taken care of, there was a small surprise. Ken McGarvey, the director of the HIV/AIDS Division of the PA Department of Health (DOH), created a model of the care continuum that pops its head into many of the DOH's documents. 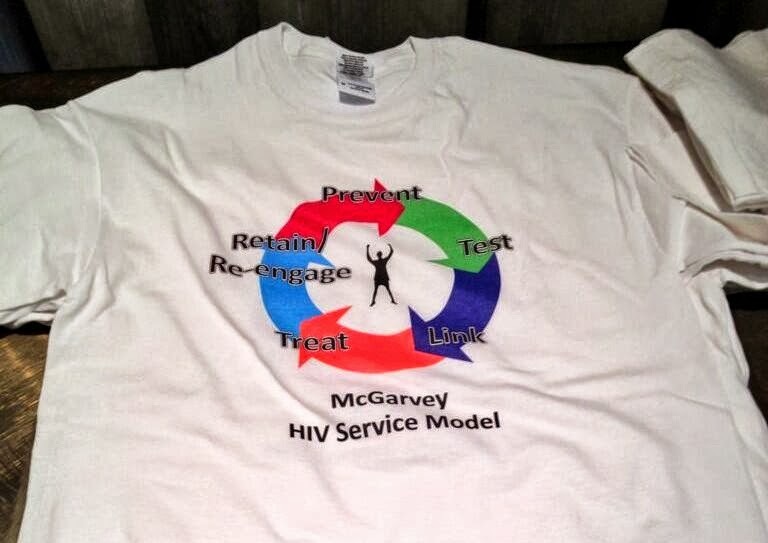 At the end of the meeting, there were surprise t-shirts immortalizing the famous "McGarvey HIV Service Model." This post is part of a monthly series. It provides an overview of themes and topics from the general meetings and committee meetings of the Ryan White Planning Council and HIV Prevention Planning Group. To view meeting materials and presentations, please visit www.hivphilly.org. As you might remember, the Ryan White Planning Council hosted its annual regional allocations meetings in July. Each of the three regions in the eligible metropolitan area (EMA) did some contingency planning for the 2014 - 21015 fiscal year. (See each region's plans in last month's Big Picture.) In August, the Finance Committee and then the RWPC took a look at those plans and voted to approve them. Once we receive the actual grant award from the federal government, the RWPC will use those plans to decide how to allocate the money. You also might remember the service priority list that the RWPC approved in July, and how the RWPC agreed to go back and look at the list again. After reviewing the new Part A manual, the Comprehensive Planning Committee updated the factors used for the priority setting list and ran the numbers again. The RWPC ultimately approved the new service priority list for the 2014 fiscal year. Last, but not least, the RWPC decided to eliminate term limits for RWPC members in order to ensure continuity through changes related to the Affordable Care Act. RWPC members were previously limited to serving three consecutive two-year terms. Current members are still required to reapply for membership every two years. Some of the committee-level work has already been discussed. The Comprehensive Planning Committee also talked about the potential need for technical assistance (in other words, training and support) for HIV providers, specifically about health reform. In addition, they discussed family planning, and permanently moved their meeting date to the third Thursday of the month at 2 p.m. Meanwhile, the Needs Assessment Committee continued its work on a provider survey on linkage to and retention in care for newly-diagnosed clients. They've also had vacancies for both committee co-chair positions; in August, Tre Alexander and Gerry Keys were nominated, and elections will be held in September. The Positive Committee talked about World AIDS Day projects, and will continue working on those throughout the fall. (Note: The Positive Committee moved its September meeting to Monday the 16th at noon.) Finally, the Nominations Committee talked about membership vacancies, committee attendance, and updates to the RWPC application. The newly-formed HIV Prevention Planning Group held its second meeting in August. Concurrence was major item on their agenda for the month. "Concurrence" refers to a process required by a CDC, as a part of Philadelphia's prevention grant. Basically, the HPG was asked to vote on whether Philadelphia's HIV prevention plan reflected the current HIV prevention system, and whether prevention resources were being spent in the geographic areas and on the populations of greatest need. The HPG voted to concur with the plan. They also talked about potential dates for a special training from the National Minority AIDS Council. The Points of Integration Workgroup's discussion on linkage to HIV care for those newly diagnosed with HIV continued in August. They talked about the group's purpose and work plan for the coming months, and reviewed a draft treatment readiness tool that could be used by HIV testers and then provided to linkage coordinators. They also learned that the previously-discussed Anti-Retroviral Treatment and Access to Services (ARTAS) model had been included in the new Philadelphia prevention system Request for Proposals (RFP). This is a great time to get involved in community planning for the Philadelphia area. To learn more, follow the links in this post, attend one of the meetings listed on our calendar, or email info@hivphilly.org to find out how to get involved. If you have questions, you can also call us at 215-574-6760.